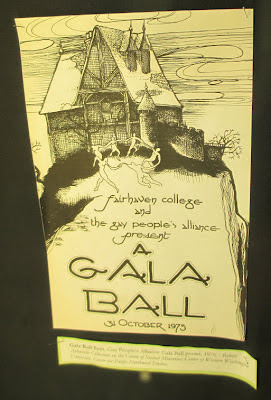 Back when I was in college, I collected a bunch of posters and articles from gay and lesbian activities around campus. 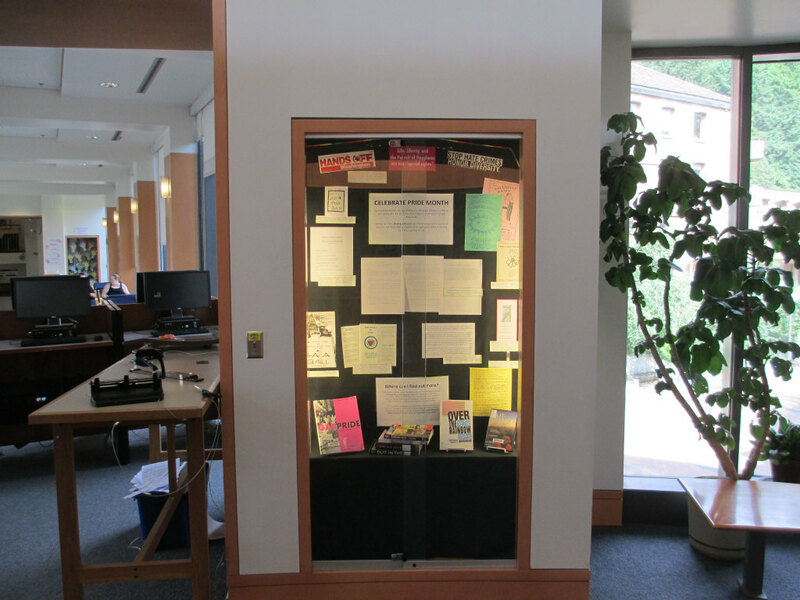 Years later, I donated that archive to a growing collection of artifacts about GLBT activism that is being maintained by Western Washington University's Center For Pacific Northwest Studies. Yesterday, I just found out that they did a display with some of my things in it along with contributions from other folks. Rode my bike up to WWU campus and took a few pictures of the display. To right side of sky bridge entrance between Haggard Addition and Wilson Library. Poster for a dance they did in 1975. I forgot who created that artistic poster, but I kept it. 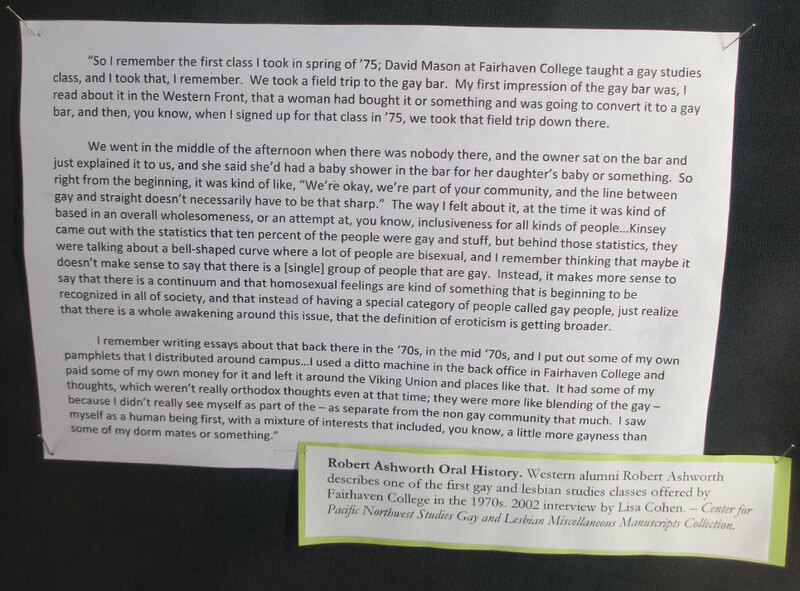 My impressions about a class I took on gay people that was taught in 1975. 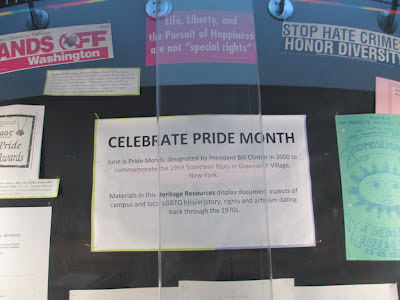 Written down from an oral history project.